So what did we miss? Why were we so wrong about them? 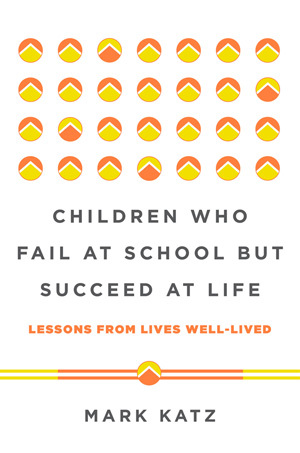 And perhaps most importantly, how can their life experiences help educators and parents understand what schools can do better to support students who are struggling today? 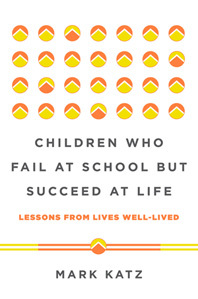 In his groundbreaking new book, Mark Katz draws on research findings in clinical and social psychology, cognitive neuroscience, education, and other fields of study—as well as stories of successful individuals who overcame years of school failure—to answer these and other questions. In the process, he shows how children who fail at school but succeed at life can give teachers and schools, counselors and health care professionals, parents and guardians—even those whose childhood struggles have persisted into their adult years—new remedies for combatting learning, behavioral, and emotional challenges; reducing juvenile crime, school dropout, and substance abuse; improving our health and well-being; and preventing medical problems later in life.